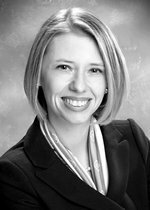 Anna is an estate planning attorney with over seventeen years of experience. Her decision to establish her own firm stems from a desire to create estate plans that encompass more than just the transfer of tangible assets. Her life experience as a young widow revealed a need to pass on wisdom and values to help those left behind. Anna’s goal is to help her clients express their values and pass those on along with their assets with the lowest expense and tax impact possible. Anna has been a member of the Massachusetts and New York bars since 1994. She began her career in tax at the Massachusetts Department of Revenue and Internal Revenue Service. Anna then worked at a large regional financial planning firm advising entrepreneurs and business owners in creating tax efficient stock option and investment strategies and advanced estate planning solutions. Subsequently, she was involved as a principal at an early-stage venture capital firm and served as corporate counsel to a business incubator. In 2001 she founded the registered investment advisor company, Kirkland Advisors, LLC, which provided comprehensive tax, financial and investment planning to individuals. She entered private practice in 2005 and worked with a South Shore law firm advising individuals and small business owners to create estate and business succession plans and small business matters. Anna holds a bachelors degree with a major in economics and minors in French and German from New York University (1991) and a law degree from the New England School of Law (1994). She frequently offers seminars to non-profits, businesses, and individual groups on various subjects. She has served on numerous non-profit boards of directors and currently serves on the Board of the Agassiz Baldwin Community in Cambridge, Massachusetts. Anna is fluent in Polish and resides in Cambridge with her husband and son.